Solar Jar Light - $15/1 Or $25/3 Plus FREE Shipping! You are here: Home / Great Deals / Solar Jar Light – $15/1 Or $25/3 Plus FREE Shipping! Solar Jar Light – $15/1 Or $25/3 Plus FREE Shipping! Sitting out in the yard at night is one of life’s little pleasures. Add a soft glowing light to enhance the experience! Get the Solar Jar Light for only $15/1 Or $25/3 Plus FREE Shipping! A switch under the jar’s lid lets you choose between warm light CH2 or cool light CH1. 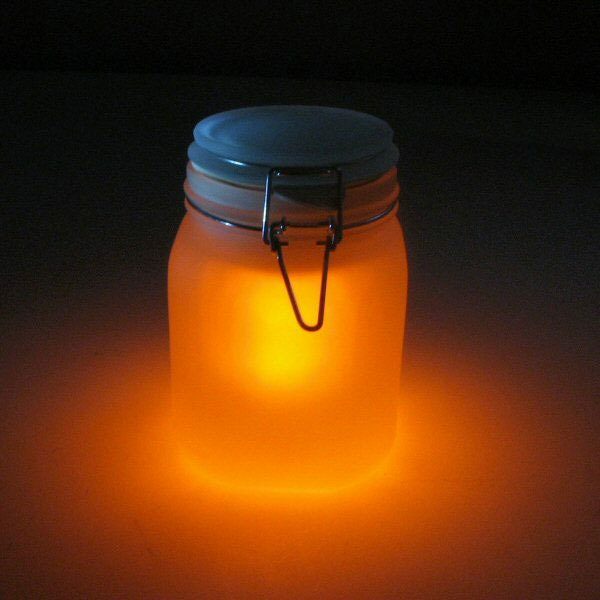 Inside the jar is a highly efficient solar cell, rechargeable battery and LED lamp. Measures 4.25″ in diameter and 6.25″ tall.